For a brief and romantic period at the end of the 19th century, Dawson was the largest city west of Winnipeg and north of Seattle, boasting a population of 30,000. Today, a somewhat quieter Dawson rolls out the red carpet to visitors who come to the Klondike to relive the rush for fame and fortune that gripped the world in 1897 after gold was discovered on Bonanza Creek in 1896. Streets lined with restored buildings, Klondike attractions and events, First Nations' culture and wilderness adventures are all part of Dawson's appeal. Dawson was the territory's capital until 1953 when the seat of power shifted to Whitehorse. The town lies in the traditional territory of the Tr'ondëk Hwëch'in people. All the services and amenities travellers might need are located in this eminently walkable town, including a long lilst of hotels, bed and breakfasts, cabins and campgrounds, plus a selection of excellent restaurants, cafés and entertainment. History buffs and interested visitors travel to Dawson for Klondike Gold Rush sites and attractions. Local tour operators offer an exciting range of activities – gold panning, river trips, flightseeing, fishing, hiking, canoeing and cultural activities. 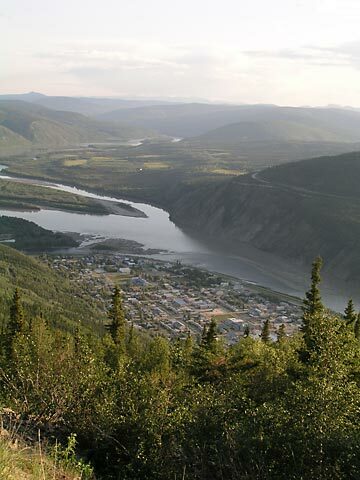 Be sure to visit the Dawson City Museum and take in a Parks Canada Walking tour.